Most of the terminology used to describe attributes of a diamond has been developed through years of in-depth research and examination by the GIA. Today, those terms are industry standards and are used in part to describe distinct color mix characteristics (such as the existence of modifiers.) However, subtle nuances such as undertones still remain absent from grading reports. In essence, color modifiers underlined in GIA grading reports refer to the presence of a second or third (and in rare cases even a fourth) hue in the diamond’s original color category. The modifiers are always mentioned at the beginning of the stone’s color description, followed by the dominant color. It should be noted that color modifiers are applied to diamonds that have a rating of “Fancy Light” or better. For any stone under the minimum grading, only the dominant color is listed in the report. The undertone is a very subtle, yet visible tint or shade that can be spotted among the primary hue of a fancy colored diamond. 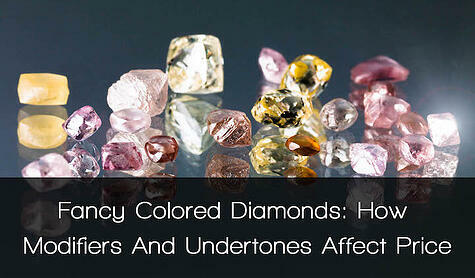 It should be mentioned here that undertones could be present in both diamonds of a single color and those containing color modifiers in their mix. As we underlined previously, these subtle nuances can have a significant impact on a diamond’s perceived color and subsequently on its value as well. But why does this happen? It is commonly accepted that beauty is a subjective matter. However, when we are exposed to fancy colored diamonds, we are immediately drawn to certain tints and hues and diverted from others. This could mainly be due to common predispositions related to colors caused by earlier exposures in our lifetime. We have all seen the vibrant red in candies, pink in bubble gum or toys, the bright yellow of a lemon or a canary, the green in an apple or lime, and the blue of the ocean or sky. Therefore gems that possess such undertones will inherently be more attractive and increase their value. 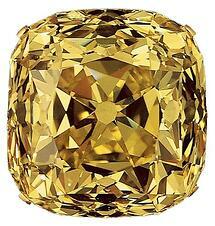 The most notable price fluctuations occur within the “fancy vivid” category of yellow diamonds. In order to yield a premium, fancy vivid yellow gems must have a very bright undertone such as orange. On the other hand if they are combined with dull colors such a brown they will warrant a discount. Because there are countless variations of pink undertones, we will be using geographic origin in order to specify hues. 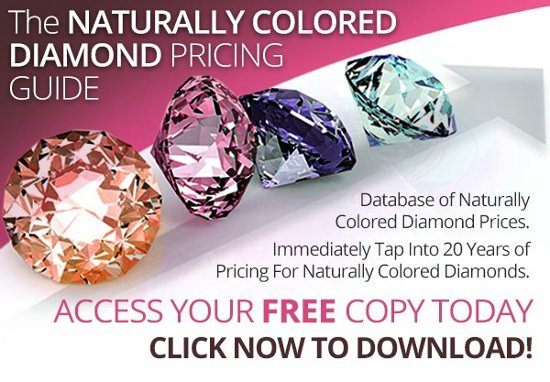 Vivid pink diamonds originating from Australia (typically the Argyle bubble gum pink hue) and South Africa (typically with brighter and “cold” undertones) will yield significant price premiums. Conversely, a vivid pink diamond with orange undertones will be severely discounted. 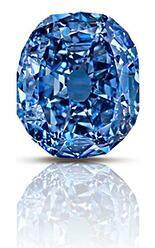 Vivid blue diamonds with bright undertones and deep saturation will obtain considerable price premiums. On the other hand, a fancy blue diamond with notable traces of gray (though not enough to be classified a fancy grayish blue) will be given a discount. Undertones that make the diamond illustrate a phosphorescent “radioactive” or bright “apple” green are most desired in these types of diamonds and warrant significant premiums. Conversely, when the diamond seems smoky, combined with gray or olive undertones, it will receive price discounts. Why Are Undertones Not Mentioned In GIA Reports? While there is no official explanation for the reasoning behind this decision, there could be two logical conclusions. The first reason could be due to the way these stones are color graded by GIA gemologists. When viewed in a face-up position, a diamond’s appearance is based on a combination of its shape, faceting arrangement, size, and color. Moreover, the GIA describes a single color as being “characteristic” of the diamond as a whole. This color refers to the overall combination of appearances that is not obvious surface reflection, dispersion, or windowing. After the characteristic color has been determined, the diamond is graded in comparison with two or more colored diamonds that act as references of a known location in the color spectrum. Under the same lighting conditions and diamond position, experts try to place a color range on the diamond. Each of the stone’s color attributes, such as hue, saturation, and tone, are bracketed through this manner. The second logical conclusion that could be made would be that an undertone might actually be a really weak modifier. Modifiers that are between 15-30% get the suffix “ish” as seen in table above. If the percentage however drops beneath 15%, the mention of the modifier is dropped completely. For an example, a diamond that contains fancy yellowish (12%) and orange (78%) will appear on a GIA report as a plain fancy orange diamond. This supports the theory behind undertones belonging within the spectrum of each color category. What are your favorite fancy colored diamond undertones and why? Let us know through social media! Connect with us on Facebook and Twitter.